Bicolano Dante Jimenez, founding chairman of Volunteers Against Crime and Corruption, drew attention to the spread of kidnapping in the country as he attended the hearing on PNP modernization at the Senate this morning. 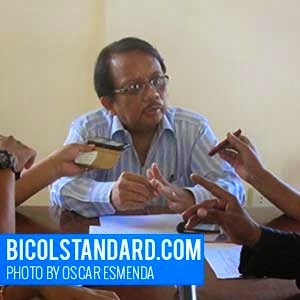 Jimenez related the case of 8-year-old Virac, Catanduanes victim Sear Andrei Agripa, who was kidnapped and killed earlier this month in the island province. Agripa's case, it will be recalled, alarmed Bicol, especially the province of Catanduanes, which had no recent records of such incidents, according to the locals. Jimenez said that kidnapping cases usually involved rich Chinese families. Today, however, even ordinary citizens who are known to be even slightly successful, are being targeted by kidnappers, he explained. Jimenez lauded the local police for expediting the resolution of Agripa's case. However, he said while the case has been resolved, it is important to keep such incidents in mind as the government tries to study the PNP modernization. He also emphasized the need to boost the morale of law enforcers by raising their income. He added that the inattention to their economic needs is what lies at the bottom of corruption in this country.